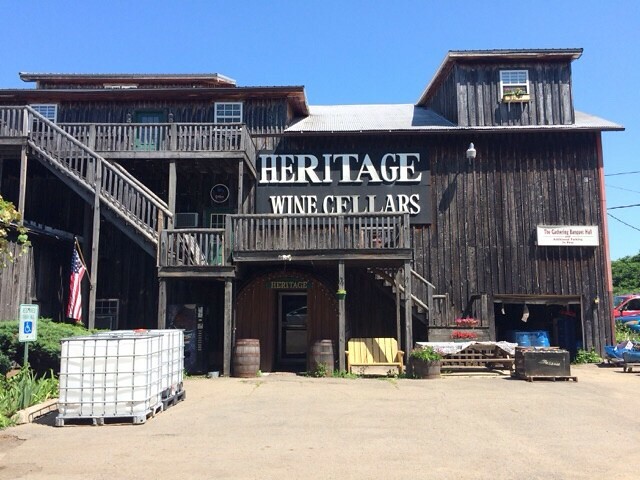 When we arrived at Heritage Wine Cellars, and saw how many wines there were to taste, we were pretty happy we had only planned one winery trip that day. There must have been 50 different wines to taste! 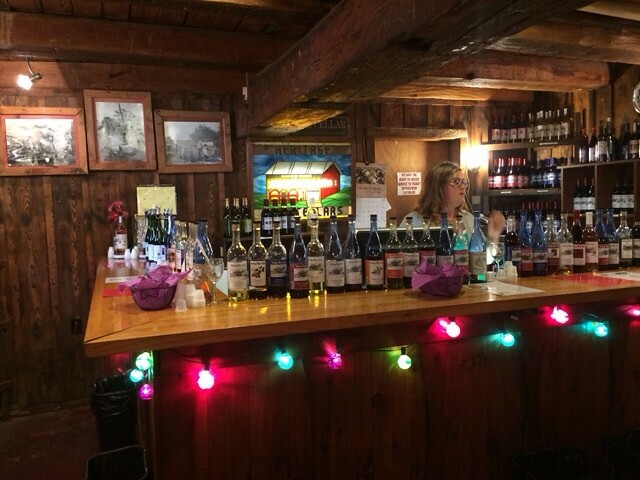 And it was self-serve so you grab a little plastic shot glass and try any wines you’d like. As you can imagine this was tempting but of course, overwhelming too. I asked the associate to help me narrow it down to the most popular wines and then added a few more that I was curious about. One of the biggest challenges was determining the order to taste the wines since we were choosing from semi-dry whites and reds all the way to really sweet whites and reds. Our wine tasting was kind of a free for all so Neil and I just shared the same set of notes and passed them back and forth to see what we thought. There were a couple wines that we both tried including Half & Half, Heritage Red, and Dutch Apple Spice. The Half & Half gets it’s name from being made of 50% Concord grapes and 50% Niagara grapes. It had a pleasant, fruity aroma, a balanced sweet flavor and a good finish. I found it to be tangy and it reminded me of the hard candies with the strawberry wrapper. The Heritage Red was very different, having a smoky flavor. Neil made a note of BBQ and we both thought it was slightly sweet and maybe even a little dry. The Dutch Apple Spice wine bottle was on top of a warmer so it would be similar to a mulled wine. There was no question that this wine smelled like cloves! Neil said it reminded him of Christmas and although I enjoyed the light apple and light spice flavor, I would never be able to drink a full glass. Neil tried 5 other wines, mainly focusing on reds. He described the Steel City Red as sweet and okay. The Merlot was smoky with a light finish and the Cabernet Sauvignon was soft and semi-sweet. Definitely a different spin on both of these wines! He did try one white wine, Vidal, which was sweet and dry, how strange. Then he finished out with Almonderia, a specialty wine, with marzipan aromas and flavors reminding him of a cherry cordial, tasty! In general, I tried mainly white wines. We are so set in our ways! 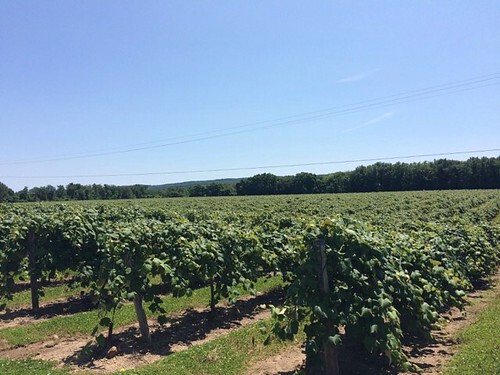 The Cayuga wine, named for the grape varietal, had floral, sweet and tangy aromas with a light grapefruit flavor. I was kind of surprised by the Sweet Country White because I didn’t notice much aroma or flavor but it had a thicker texture and tasted kind of light. As I tasted the Bubbling Catawba, I made note that this wine was not nearly as sweet as the other wines we were tasting that day. It had a light flavor and reminded me of strawberries. We decided to purchase a bottle to share with our family during the trip. The Winter Pear, had an overwhelming aroma and flavor of bubblegum, wow! For my final sample, I tried the Chocolate Strawberry, who can resist? It smelled like chocolate and had a soft chocolate flavor. The sample was tasty but way too sweet to have a full glass. So many things about this winery were different than what we would see in California, from the self-serve tasting (that would never happen here) to the wine being made in plastic tanks in batches of maybe 30 gallons, to the inexpensive bottle price of $10-$15. It was definitely fun to give it a try. After leaving the winery, we hit the road for a scenic drive along the lake coast. We stopped in a cute little town called Westfield, NY for lunch. 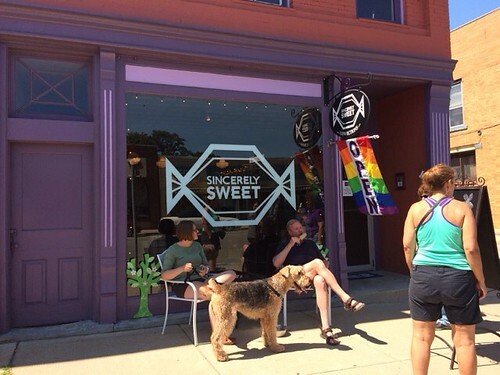 This town had a few shops with handmade goodies and a candy shop, Sincerely Sweet, http://www.sincerelysweet.co. Well we had to see what kind of chocolate would be available, to pair with our newly purchased wines. This was a newly opened shop with artisan candy from all over the world. The staff was so friendly and even gave us a few samples to try. We ended up purchasing a dark chocolate bar from the Lake Champlain area of Vermont. 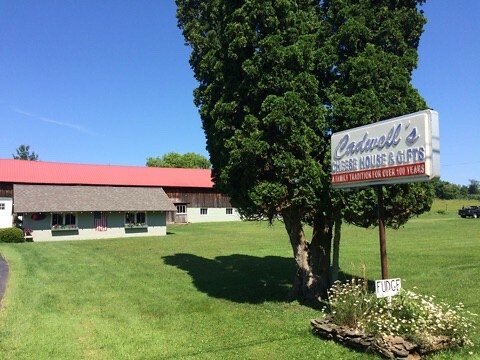 Our final stop was Cadwell’s Cheese House, www.facebook.com/cadwells.cheese, about 20 minutes away in Dewittville, NY. We were so excited to see what kind of cheeses would be offered there since we had never been to a “cheese house” before. There were around 20 cheeses to choose from including a local cheese from NY and OH, but cheese is no longer made there. 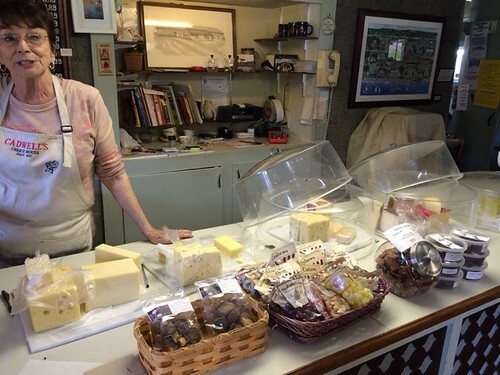 We spoke with Jane, the owner, who told us her dad was the cheese maker, about 30 years ago. They would produce ten 30 lb wheels of cheese each day using the milk from 150 cows. Wow, I wonder how many people worked there in the heyday? 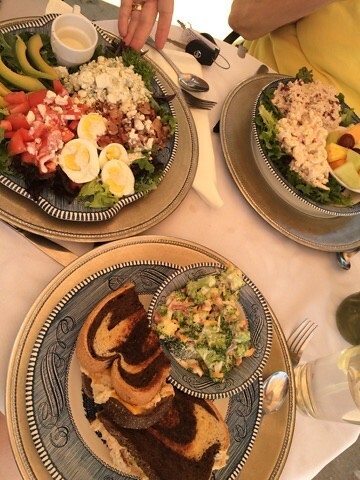 As we learned, we sampled cheeses and enjoyed it so much that we forgot to write down notes. Oops. We were fortunate to try a Sharp Cheddar from NY, Havarti, Swiss, Smoked Swiss, Havarti with caraway seeds (like Rye bread) and Cranberry Wensleydale. Since we were on the quest to purchase some cheese to pair with our local wine, we narrowed it down to the Sharp Cheddar, Havarti, and Wensleydale. The first two cheeses seemed like they would go well with the wines because of their creamy texture. The Cranberry Wensleydale was more of a treat, because it’s always so tasty. I’m sure you are all anxious to read about the actual pairings of all these tasty treats but you’ll have to wait until another WineAndCheeseFriday entry to hear about that.